Volkswagen was brave when it decided to cheat on its diesel emissions testing and leave thousands of buyers with cars that were far less earth friendly than they claimed, and now one such owner is being just as bold in his quest for revenge. Joe Mayer, a car salesman (!) from Cincinnati, has decided to get back at VW by mercilessly exploiting the terms of the company’s court-ordered buyback program. 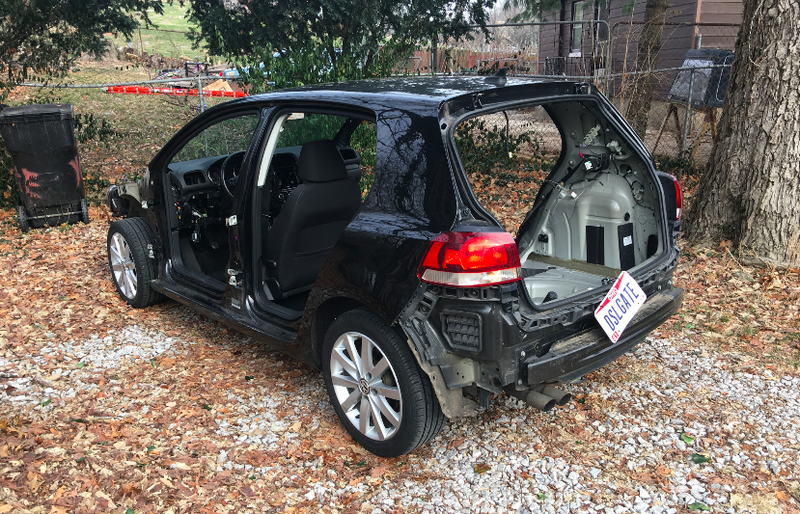 Mayer is planning on turning in this completely stripped-to-the-bone hatchback in order to get his share of the settlement check, and it’s a glorious sight. 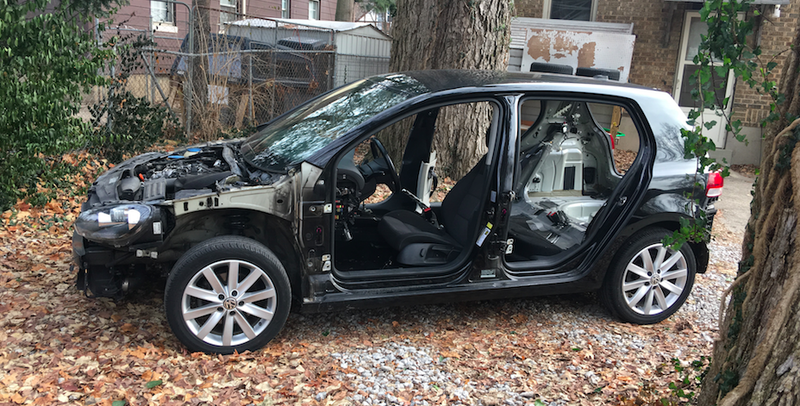 As Jalopnik reports, Mayer has completely removed virtually everything that can be taken off the car without a saw, including the hood, doors, most of the interior, and every seat but the driver’s. After speaking with several settlement specialists, Maybe believes that, due to the extremely loose wording of the buyback agreement, this stripped-down car still qualifies as buyback worthy. Shockingly, he’s probably right. VW owners have been stripping down their diesel cars and successfully turning them in ever since the buyback began, and while most have been satisfied with taking the bumper and maybe a few of the bells and whistles, Mayer is simply ramping things up a notch. The terms of the buyback agreement simply state that the car has to be “operable” and can’t have any bad marks on the title, such as salvage or flood damage. Mayer’s car, as ugly and barren as it might look, still runs and drives just like all the rest, and is totally capable of being driven into the Volkswagen lot. Because of this, VW may indeed be obligated to accept the car and hand over Mayer’s buyback check.